Dr. AMER A. TAQA is Professor and Head in Dental Basic Science Mosul University, Mosul, IRAQ. He has been registrar of department of Dental Basic Science Mosul University, Mosul, IRAQ. He has published about 100 of research papers and out of that 50 were of international level. He has awarded many times for scientific researches by Government. He has been member of many examination committees and also is a Member in Iraqi Scientific Staff. 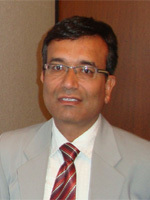 He has been working as Editor - reviewer in many journals. He has done the Professional Training in Japan (Oska University, NIBI, AHCC Research Association, Hyogo Ion Beam Center), ESTRO Fellowship in Denmark and India(AIIMS Delhi, BARC Mumbai, SCB Medical College-Cuttak, MKCG Medical College-Berhampur). Research Area:Brachytherapy, Total Skin Electron Irradiation, Palliative Radiotherapy, Stereotactic & Conformal radiotherapy, Radiation Cell Biology, Cancer Genetics. Dr. I. D. Gupta is Professor Psychiatry and working as additional Principal and Dean of student welfare in SMS Medical College, Jaipur. He is recipient of Prof. Shiv Gautam oration award by Indian Psychiatric Society. He has done training in YMRS at Monte Carlo and BPRS at Singapore. He has been President Indian Psychiatric Society, Rajasthan State Branch. He is author of "Psycho Somatic Disorder" chapter in 1st edition post graduate text book of Psychiatry by Vyas and Ahuja. He has also worked with National Mental Health Programme and has a lot of publication. Dr. Lokendra Sharma is Associate Professor Pharmacology and working as Nodal officer of SMS Medical College, Jaipur. He is recipient of WHO Fellowship award on Poison Patient Management at Vietnam. He is resource faculty for Experimental Toxicology and Basic Course for Medical Education. He is presented and published a lot of research articles at national and international level. Dr. Anuradha Yadav is working as Professor Physiology, SMS Medical College, Jaipur (Rajsthan) India. She is a popular medical teacher and research scholar who had many publications in indexed journals. Research Area:CVS & CNS physiology, Medical Education and Spiritual Health. Dr. Rajeev Yadav is working as Associate Professor Community Medicine, SMS Medical College, Jaipur (Rajsthan) India. 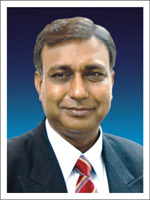 He is member of Research Review Board of the Institute. He has authored a book entitled "Community Medicine: Practcal Guide and Logbook"
Dr. Dilip Ramlakhyani working as Associate professor Pathology and member of IT Committee of Sawai Man Singh Medical College, Jaipur (Raj) India. He has published many articles in indexed journals.